CIUDAD HIDALGO, Mexico (CNS) — At this normally bustling border crossing between Mexico and Guatemala, Central American migrants — part of a caravan that set out Jan. 15 from San Pedro Sula, Honduras — sat patiently on folding chairs in the shade. Mexican immigration officials distributed bottles of water, while members of the navy served meals of simple stew and slices of white bread. 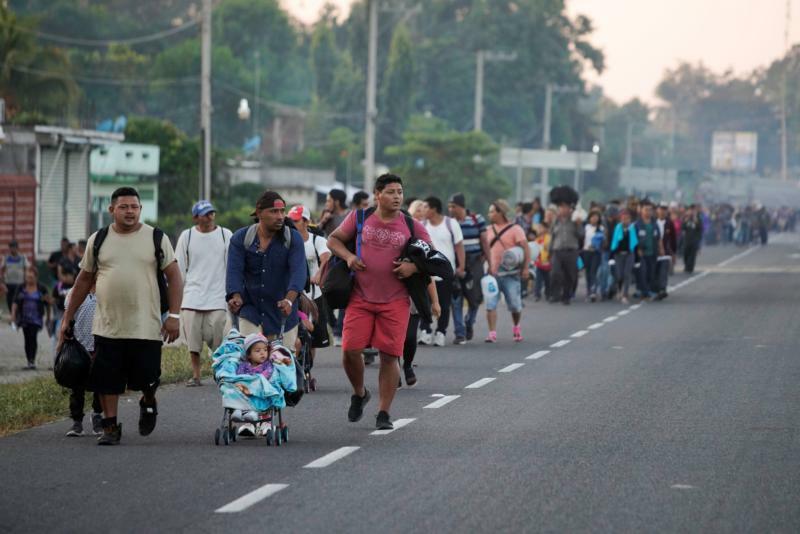 “The people traveling in the caravan are the poorest migrants,” said Carlos Lopez, an official with the Scalabrinian migrant shelter in Guatemala City. “They’re the ones that can’t pay for ‘coyotes,'” as human smugglers are called.